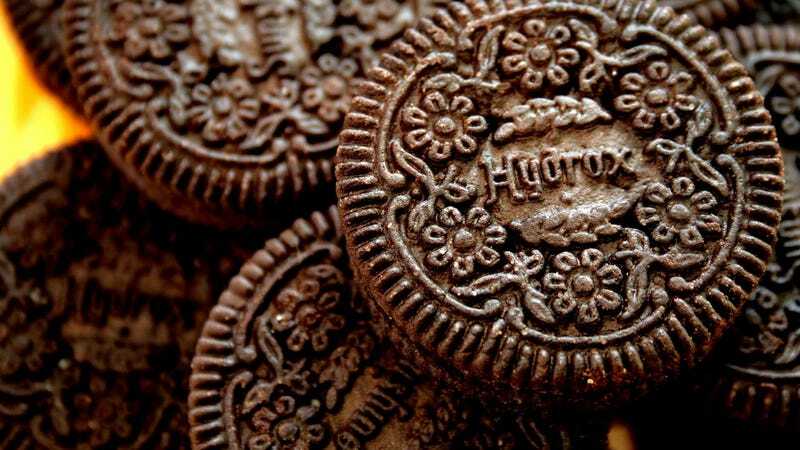 Created in 1908, Hydrox was the original chocolate sandwich cookie, but it was Oreo (which first went on sale four years later in 1912) that ended up dominating the market. In the decades since, Hydrox has been something of a cult favorite compared to its younger, more recognizable competitor—a battle for biscuit supremacy that took a dark turn this week with an accusation of cookies being hidden on shelves. Fears of discontinuation loom large in the minds of Hydrox lovers: After a less-than-successful effort to rebrand the cookies as “Droxies,” the product was removed from the market entirely by owner Kellogg’s in 2003 before being relaunched by Leaf Brands in 2015. As fans of cookies of all shapes and types, we hope that Hydrox and Oreo can settle their differences and go back to selling sugary treats based on each cookie’s individual merits. And if one brand ends up prevailing, maybe that’s just the way the cookie crumbles. Have you seen any unsavory cookie practices? Hit me up at sam.rutherford@gizmodo.com.